Oil tanned American Bison. Nice feel and will last forever. Extremely smooth almost a wrapless feel. Classy. Very smooth with superfine texture. Wrapless feel. Wraps are generally split in .022 to .025 thickness range. 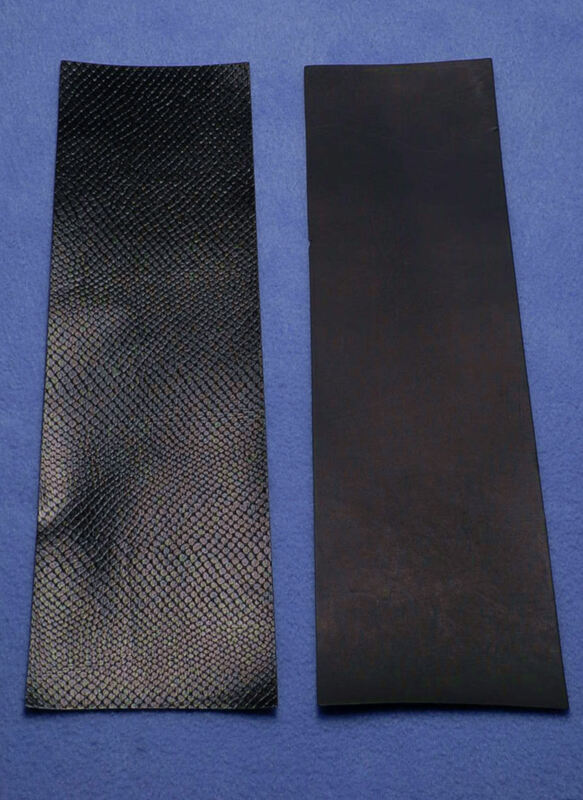 Standard wrap styles can be combined for the dozen discount price. 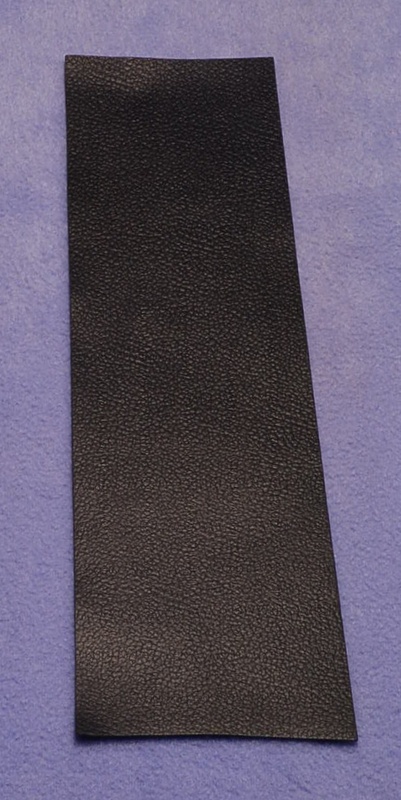 Tiger Products Leather MSRP: $32.00, MAP: $27.20 Email for our low selling price. (all hand selected and calipered at factory). Java Lizard- Regular $60, Select $80 (Black, chocolate brown, hazelnut brown, burgundy brown, cognac, black and white ringtail, black and creme ringtail. Full bellies or backs, $135.00 and up. 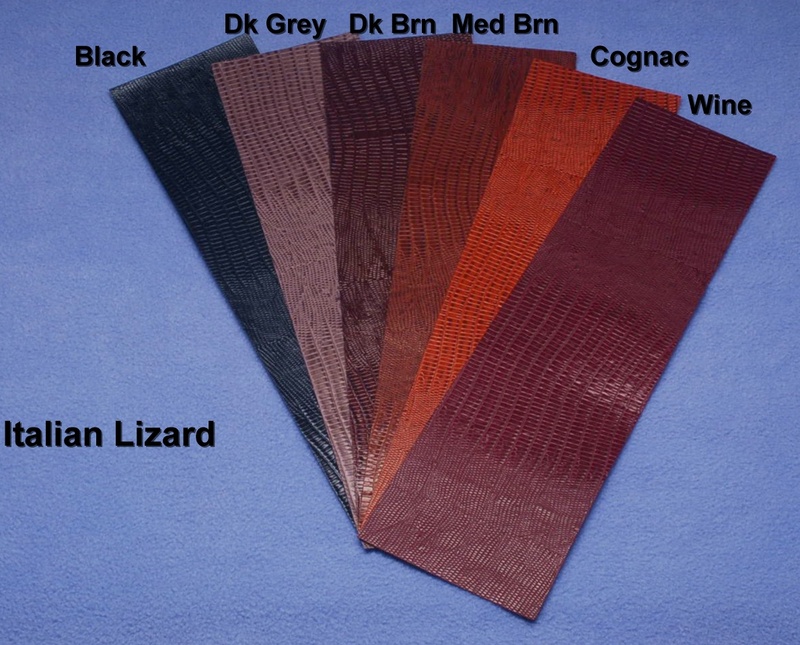 Premium Spanish Lizard -quality java lizard from Spain limited supply- Regular $70 (no roundscale regular grade), Select $100 (Black, black roundscale, dark brown roundscale, cognac-brown, tan, white, charcoal, burgundy-oxblood, light beige ringtail). Full back or full belly $165.00. 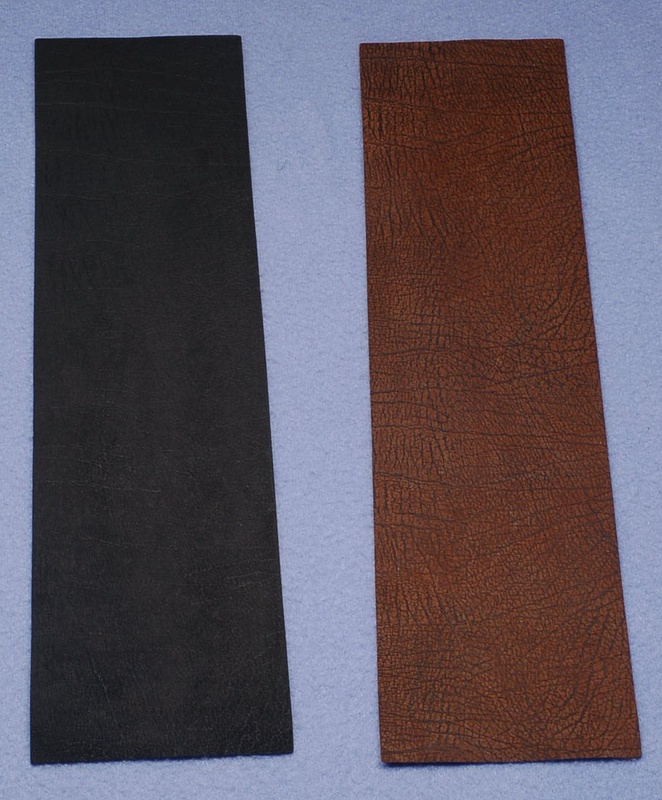 "George"* smooth cowhide wrap replicates the tannage of the wrap used by George Balabushka on his cues (Black, dark brown). Regular $20, Select $30. USPS Priority mail shipping with tracking is only $7.65 for 1 to 48 wraps in USA. Insurance with over $300 value is additional. NOTE: $25.00 MINIMUM ORDER BEFORE SHIPPING.